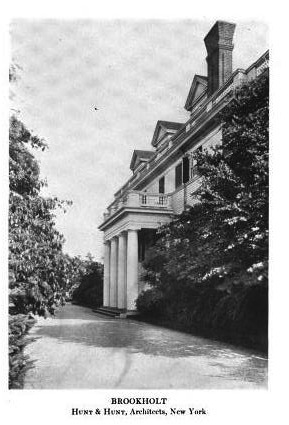 'Brookholt', the Oliver Hazard Perry Belmont estate designed by Hunt & Hunt c. 1897 in Hempstead. Click HERE for more on 'Brookholt' which has since been demolished. Photo from the Annual Exhibition of the Architectural League of New York, 1913. Does anyone know where this year's Designer Showcase on the North Shore will be held? I guess it's hard to come by any photos of other estates around the Hempstead area because they were such short lived.